Cześć guys, I need you Polish peoples' help. I'm currently learning all the family members in Polish, I've learned matka, ojciec, dziadkowie, etc. but I'm having a problem with 'aunt' and 'uncle'. Basically, in the resources I'm learning from, I've been told different things. Uncle is apparently 'wuj' or 'wujek' - which one of these is more commonly used? Is there any difference between the two? 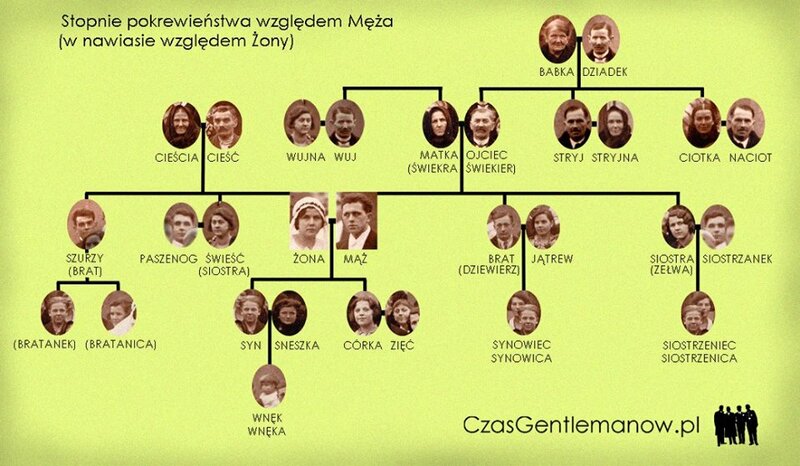 Another problem I'm having is the mother's brother/father's brother thing - apparently 'wujek' is your mother's brother, and 'stryjek' is your father's brother. Again, with 'Aunt', apparently 'ciotka' is either your father's or your mother's sister, which is fine. But my book says that 'stryjenka' is your father's brother's wife, and 'wujenka' is your mother's brother's wife. Remember not to call anybody 'busia'! But my book says that 'stryjenka' is your father's brother's wife, and 'wujenka' is your mother's brother's wife. Formally yes. But almost nobody uses those names any more. They both are just 'ciocie' (- pl., 'ciocia' - sing.). 'ciocie' (- pl., 'ciocia' - sing. ).